At the Mr. Price jobs announcement in Cornamaddy were l-r, Cllr. Paul Hogan, Ms. Laura Blighe, Marketing Manager, Mr. Price, Cllr. Michael O’Brien, Cllr. Ailish McManus, Deputy Kevin ‘Boxer’ Moran TD, Ms. Emma Pillion, Mr. Price, Property Director and Cllr. Aengus O’Rourke. Mr. Price, the fast growing discount variety chain, have purchased the former Nexans (Cable and Wireless ) premises on the Cornamaddy Road in Athlone. The premises, which has been vacant since 2008, is planned to house a new centralised distribution centre for the company. It will see the consolidation of three existing warehouses in Mayo, Tipperary and Dublin into the 155,000 square foot facility on 15 acres which will be responsible for distributing all stock to their 42 stores nationwide and will facilitate their planned expansion to 60 stores over the coming two years. The distribution centre will become an automated facility which will receive stock from suppliers in Ireland, the UK, mainland Europe and beyond. All stock will be sorted via a radio frequency identification (RFID ) system for redistribution to Mr. Price stores across Ireland. Welcoming the news, Minister Kevin ‘Boxer’ Moran acknowledged that it was a black day for the town when jobs were lost at the Nexans plant ten years previously, but now a “good news story” has emerged at the site. “The new distribution centre will give rise to 200 jobs over the next three years, with 80 jobs expected to be filled before Christmas. This is fantastic news for Athlone and follows upon the recent announcement of 200 jobs at Neueda Technologies, an IT Training, development and consulting services company. I look forward to the work starting here in August, which will have an overall investment in the site up to 2020 exceeding €2.5m,” the Minister commented. The Deputy also commended the key role played by Athlone native and Mr. Price Property Director, Emma Pillion, in the decision to locate their main distribution centre to her home town. Speaking about the new distribution centre, Emma Pillion, Property Director with Mr. Price, noted that the development will lead to the creation of almost 200 jobs over a three year period. Adding that Athlone is the ideal location for the proposed development, the Property Director listed her native town’s attributes. “Athlone is a great town in which to do business, particularly given the accessibility of this site to the motorway and other key national routes. Athlone offers a centralised location, good infrastructure, a range of great housing at more affordable prices than competing centres, a great choice of schools, endless amenities, restaurants, and hotels. Athlone is a fantastic town for families and boasts some of the best clubs and sports facilities in the country. “Advocates for the town such as Minister Kevin ‘Boxer’ Moran really help draw new jobs and industries into Athlone and his tireless work on projects such as this is to be commended. The distribution centre will also house, in a separate existing building on the site, a picking station for all online sales for the company launching in the first quarter of 2019. The company is also currently well on track to launch an expanded Mr Price online store. 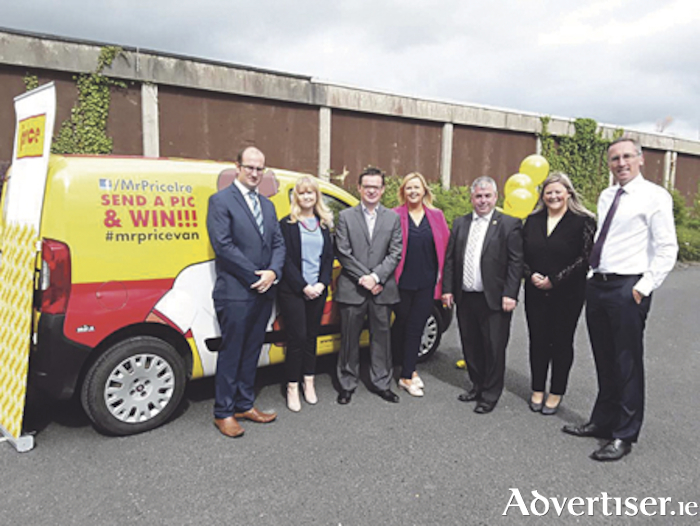 Given the location of the distribution centre, it is expected that Mr. Price will be able to offer a next day delivery service in Ireland which to date has been difficult for most online retailers. Mr Price currently employs 15 people in its existing store in Athlone and employs over 750 staff directly in stores throughout Ireland and over 900 staff nationwide.